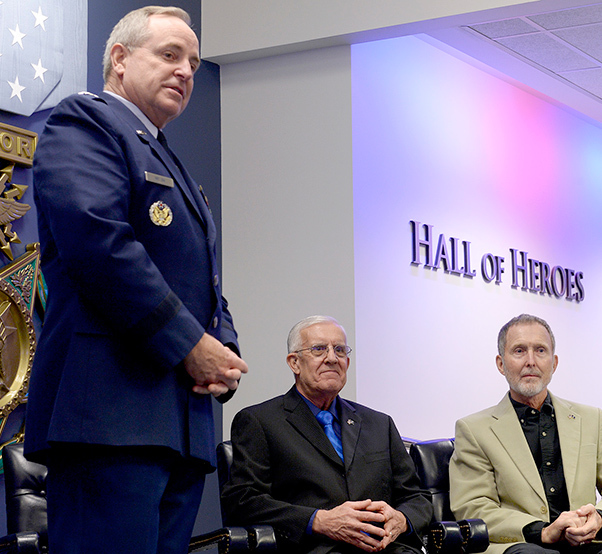 Air Force Chief of Staff Gen. Mark A. Welsh III congratulates retired Chief Master Sgt. Ronald W. Brodeur and Eric L. Roberts II after presenting them with the Silver Star during a ceremony at the Pentagon in Washington, D.C., Dec. 17, 2015. Brodeur and Roberts received their medals for their gallant action in Vietnam. A star pendant necklace bought in 1984 has been tucked away for 30 years since its purchase. The necklace was a gift to Sue Roberts from her husband, Eric Roberts II, as a thank you for her efforts toward getting the Distinguished Flying Cross awarded to him and Ronald Brodeur’s upgraded to a Silver Star. Unfortunately at the time, the request was denied, and Sue vowed to never wear the necklace until her husband and Brodeur received stars of their own. The two gentlemen were awarded the Silver Star by Air Force Chief of Staff Gen. Mark A. Welsh III during a ceremony at the Pentagon Dec. 17. Roberts and Brodeur were awarded the Silver Star for their gallantry in connection with military operations against an armed enemy of the U.S. in Duc Lap, Republic of Vietnam, on Feb. 20, 1969. At the time, then-SSgt. Brodeur and Sgt. Roberts were assigned to the 20th Special Operations Squadron as UH-1P helicopter gunners. Affectionately known as the “Green Hornets” the unit was responsible for supporting special operations in South Vietnam. On that day, their crew was called upon to rescue a six-man Army long-range reconnaissance patrol. With a river on one side, enemy fire coming from every other direction, and the field they were hiding in ablaze, the patrol was in extreme danger of being overrun. Still, the Green Hornets were able to locate the patrol. With their harnesses secured to the aircraft and their weapons in hand, the sergeants climbed out of the helicopter and onto its skids to direct the pilot and copilot into a 10-foot hover, while using M-60 machine guns to suppress enemy fire. A rope ladder was dropped to the patrol team below, and upon their ascent there was an explosion — one of the soldiers had triggered a mine on the ground. The explosion blew Brodeur off the right skid, and he dangled from the aircraft in his harness. Air Force Chief of Staff Gen. Mark A. Welsh III pins the Silver Star to retired Chief Master Sgt. Ronald W. Brodeur during a ceremony at the Pentagon in Washington, D.C., Dec. 17, 2015. Brodeur received the medal for his gallant action in Vietnam. On the left side, the explosion had caused the co-pilot’s door to blow open and Roberts was thrown inside the helicopter. 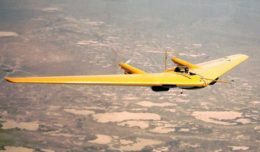 Determined, Roberts had unhooked his harness, climbed out of the helicopter, and inched his way up the left skid to secure the co-pilot’s door, protecting him from enemy fire. Thanks to their actions, the entire team was rescued and evacuated with no loss of life. For their actions, the pilot and co-pilot on this mission received the Silver Star; however, the nomination packages for Roberts and Brodeur were lost — initially they didn’t receive an award at all. With Sue’s persistence, they received decorations in 1984 — the Distinguished Flying Cross. The classification of the mission didn’t allow for a full picture of the courageous actions of the enlisted men. Brodeur, Roberts and their spouses felt that since the crew worked together as a team, they should have received the same award. 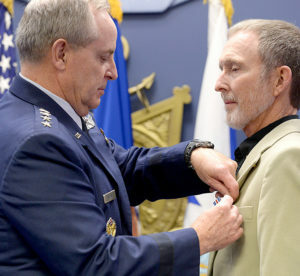 “The first iteration of this award wasn’t actually presented until 1984 as the Distinguished Flying Cross to these two gentlemen,” Welsh said. “It was presented then only because Sue Roberts, starting in 1971, pursued it. The awards recommendations for these two guys in the back of the helicopter were separated from the pilot and co-pilot’s awards and decorations recommendations and just never reached completion until Sue got involved. Thirteen years later, they were awarded the Distinguished Flying Cross. 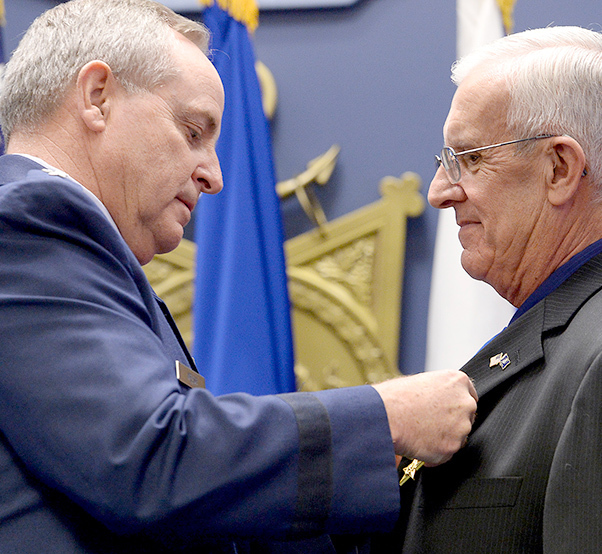 Air Force Chief of Staff Gen. Mark A. Welsh III pins the Silver Star to Eric L. Roberts II during a ceremony at the Pentagon in Washington, D.C., Dec. 17, 2015. Roberts received the medal for his gallant action in Vietnam. Now, three decades later, three star pendants are worn for the first time — two for gallantly serving the country, and one as a symbol of dedication to the one she loves.